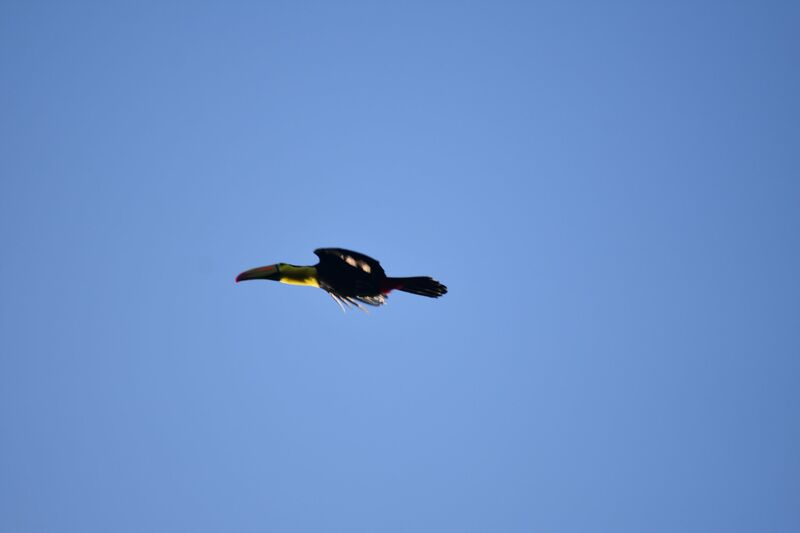 BELIZE 2019 – CONSERVATION EXPEDITION! Our AimThis project utilises education and experience to reinforce the principle that, to have a healthy marine environment, we also need to have a healthy terrestrial environment. To this end, we link terrestrial and marine environmental conservation on the Rainforest to Reef Expedition. Ridge to Reef is a “Slow Adventure” expedition. 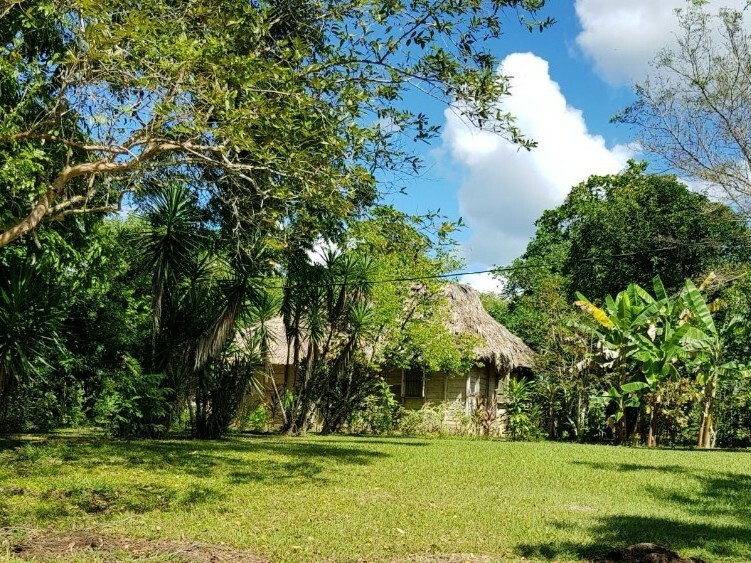 It enables individuals to put something back into nature, while leaving behind only the minimum environmental foot print, by becoming completely immersed in the ecological diversity of Belize. 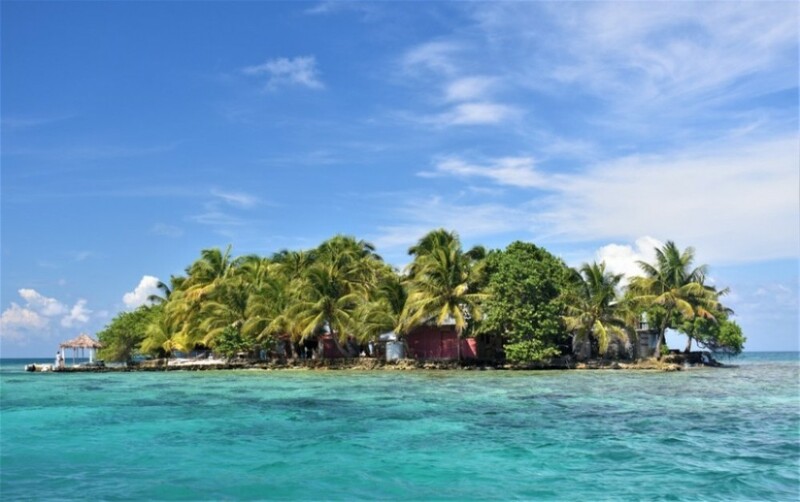 The PlanHaving spent two weeks exploring and investigating all that Belize has to offer this November, we have put together an exciting, life changing adventure. 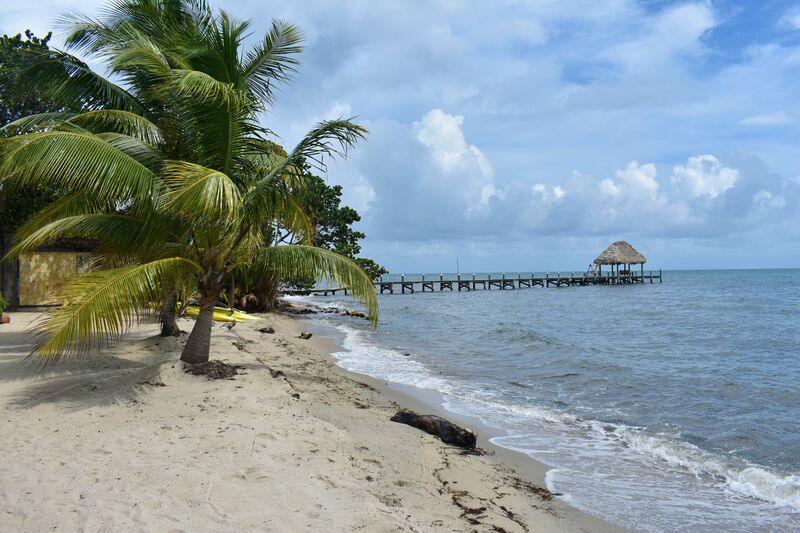 The expedition lasts for 23 days in total, including travelling to and from Belize. A few days involve travel ‘in country’ (but never full days), with rest periods before and after each phase. 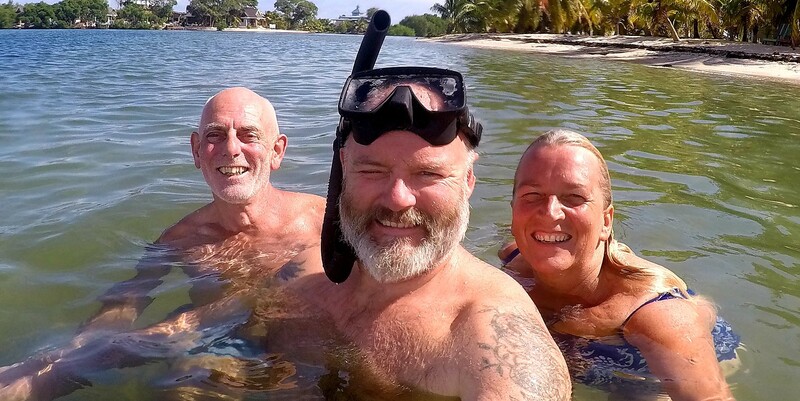 Starts with acclimatisation time to ease into Belize after travelling. 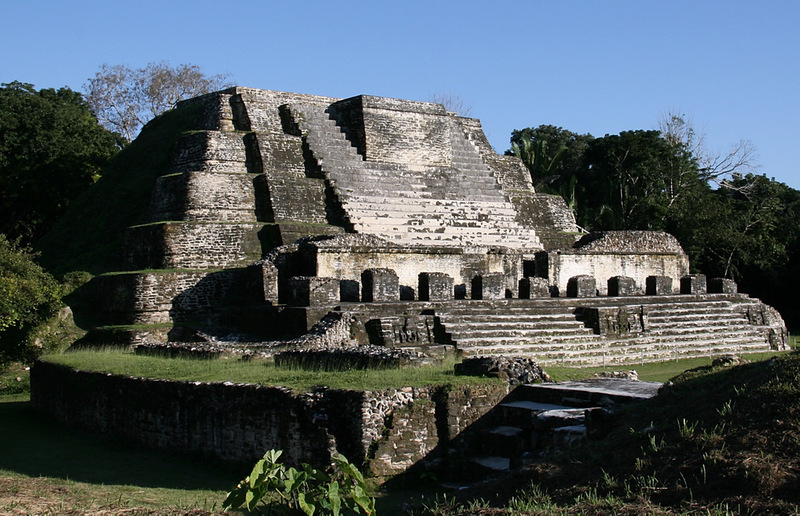 Visit to the famous Mayan Ruins with an introduction to the jungle en route. 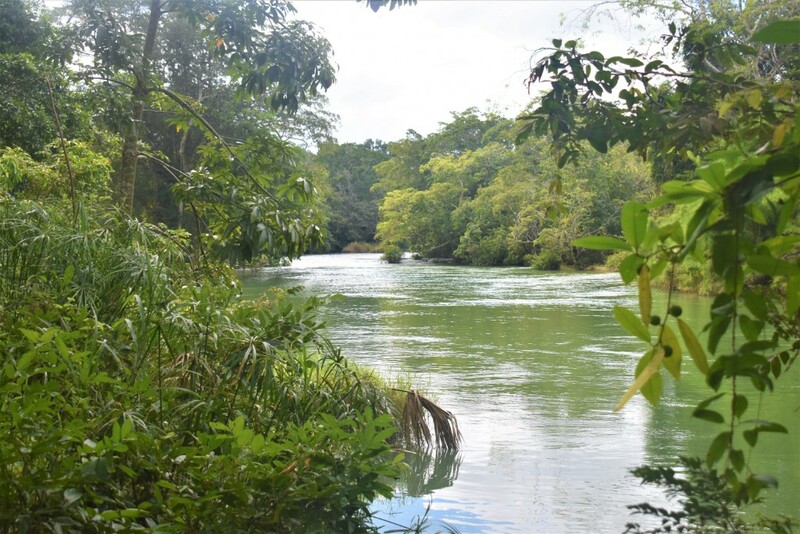 Journey into the center of the Chiquibul Rainforest. 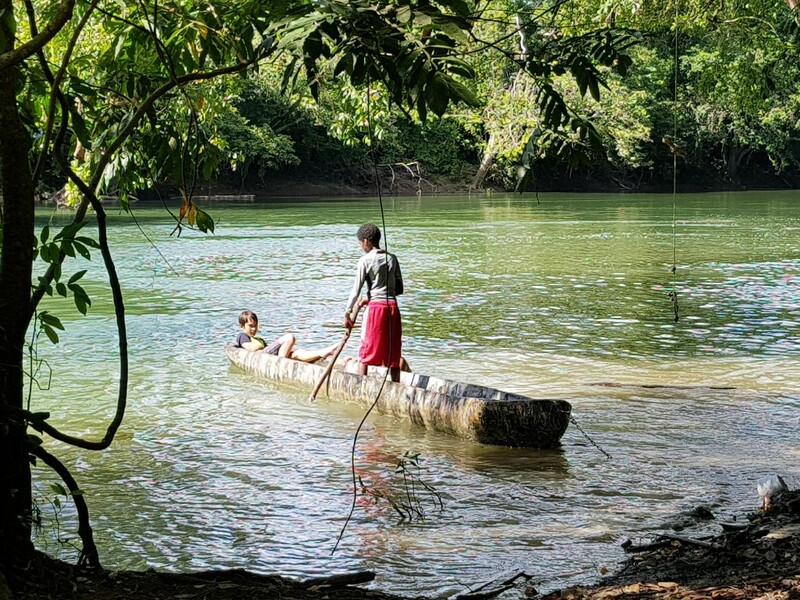 7 days learning about ecosystems, the issues and threats facing the Rainforest, living, surviving and moving around in the jungle. Preserving both the wildlife and the unique Chiquibul Rainforest itself. Although the Research Station has scientists, biologists and researchers who visit regularly, it also needs people with practical skills in the widest sense who can help enhance the surrounding environment. This area is not open to the public. It is deep within the jungle and has wild life in abundance. The way we roll! To and from the airport utilises a transfer company who offer speedy transfer with little hassle. 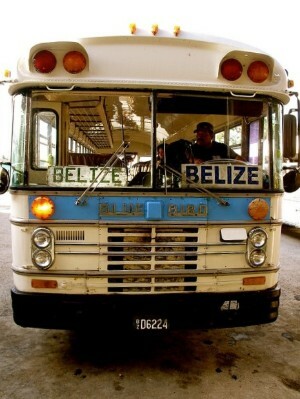 Cross- country travel using the famous Belize Blue Bird buses; a real experience in moving around! Sea travel involving the use of highly capable, fast, hard-boats. First class boats and crew. Travel at speeds of 25-30 knots so distances are covered quickly and safely. 5 days duration, situated on a tiny island, 26 miles offshore. Reef conservation carried on by a team of expert divers and instructors . All are marine conservation experts, many are also marine biologists. Learn to dive on the island for a very small additional cost. Thereafter, participate in reef conservation for 2 days. After a quick refresher, PADI qualified divers can support work tending to the second largest reef in the world. “Downtime” opportunities to aid reflection. 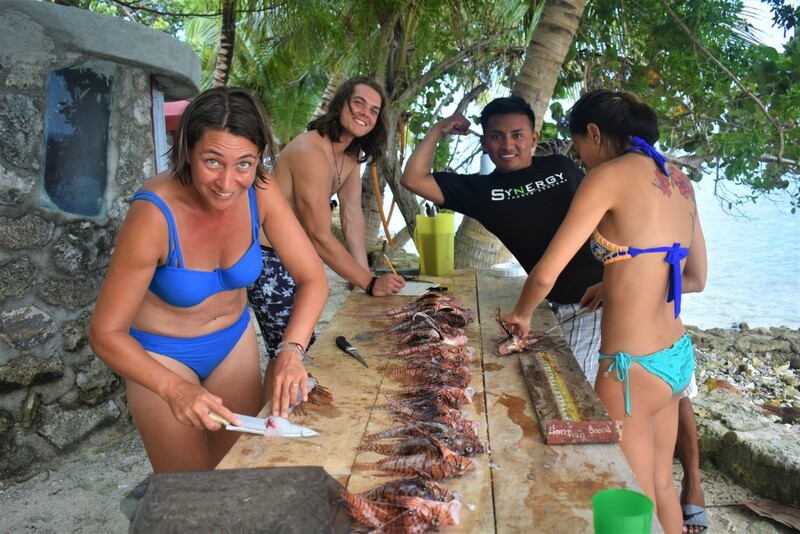 Learn more about the reef through reef maintenance, culling the aggressive, poisonous and invasive Lionfish (then bisecting, recording, filleting and finally, eating it!). 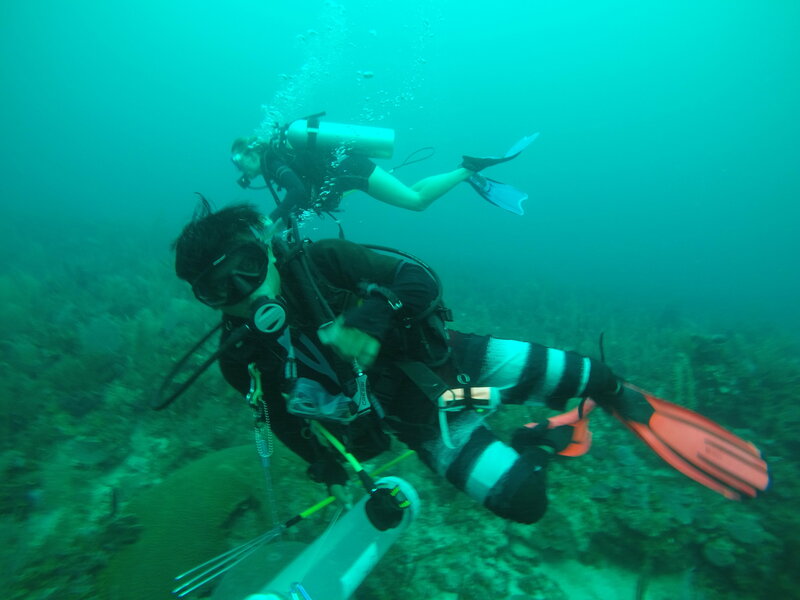 Recording marine life numbers and inspect the-health of the coral itself . Relax under the supervision of a highly professional team. Experience amazing food and life-changing surroundings! This is a demanding expedition, both physically and emotionally. However, both downtime and relaxation are built into the programme to allow for focus on personal reflection. 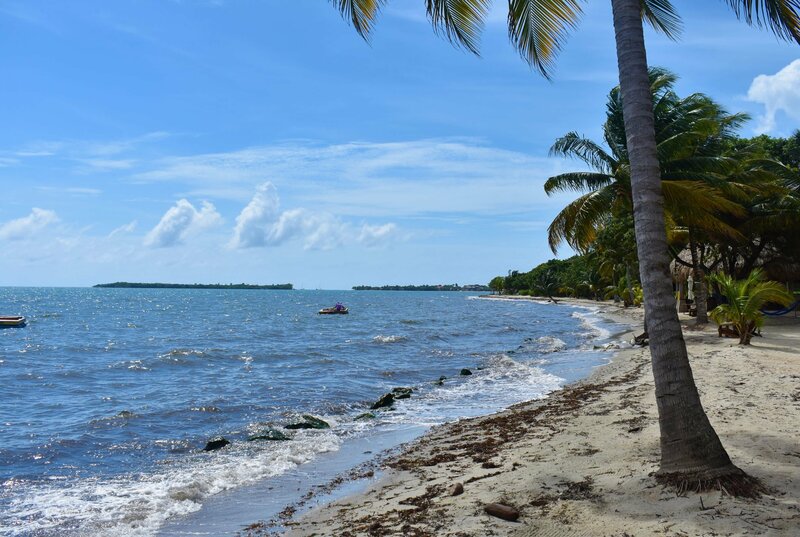 The small town of Placencia is perfectly placed for this and, on completion of the Reef conservation, the boat ride to the mainland takes you to the heart of the town. Here, the group will continue to uphold the ethos of the expedition, spending a few days in self contained beach houses, (see picture above) a stones throw from the sea (about 4 metres to be exact!) where you can relax, unwind and reflect. This also gives participants the opportunity, towards the end of the expedition, to help maintain the local beach through cleaning up plastic and any other debris from the shoreline itself . (Ask staff for suggestions of other activities that help focus on personal reflection in order to put this amazing life experience into context!). Ally of AdventuraScotland, Nathan of GoXperience and Rafael of FCD. “It was 0430 in the morning, up a 100ft observation tower, (Irene was in bed, having been there before many times!)”. 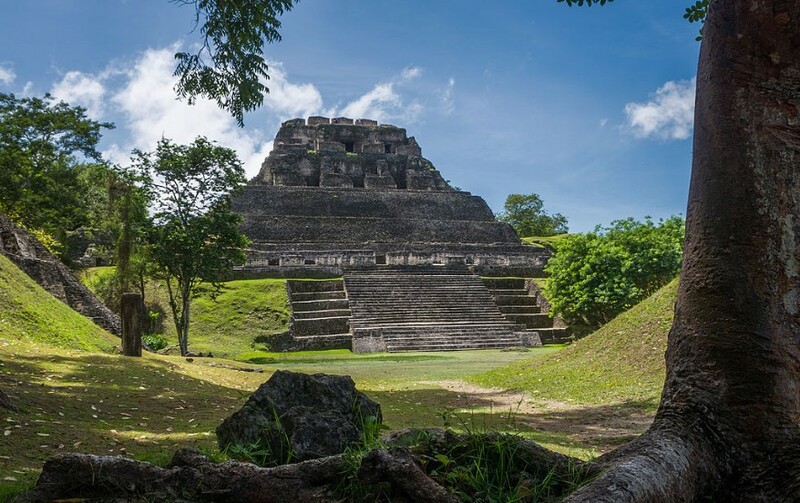 11th November- Depart for Belize.12-14th November- Arrive Belize, 2 nights acclimatisation and Mayan Ruins. 22-25th November-R&R before next phase. The cost includes all ‘in country’ meals, travel and accommodation. The cost DOES NOT included flights, drinks and any extra activities you may wish to do. Early Bird price before 11th February 2019; £3750. (After 11th February 2019; £3950). We have worked very hard to get unbeatable prices on the food, accommodation and the Reef conservation. These savings we have passed on directly to you. We REALLY look forward to seeing you on this adventure of a lifetime! The TeamOn the left we have Ally, a retired Headmaster, on the right we have Irene, an ex school teacher; together they make AdventuraScotland. They are specialists in teaching new skills to both old and new teachers worldwide, taking people on ‘a journey with a difference, a journey of discovery’. 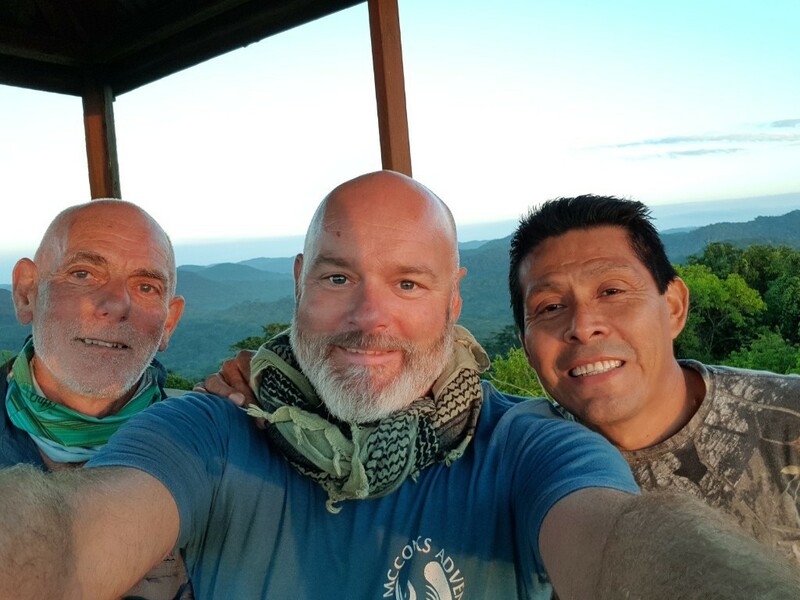 They have run expeditions to Belize (over ten times, and counting!) for Duke of Edinburgh Gold Candidates, MSc students, university groups and have more miles and countries under their belts than they care to remember! With experience comes safety; that’s what it says on the can, and that’s what you get here. These three met over 10 years ago on a scientific expedition to Greenland. 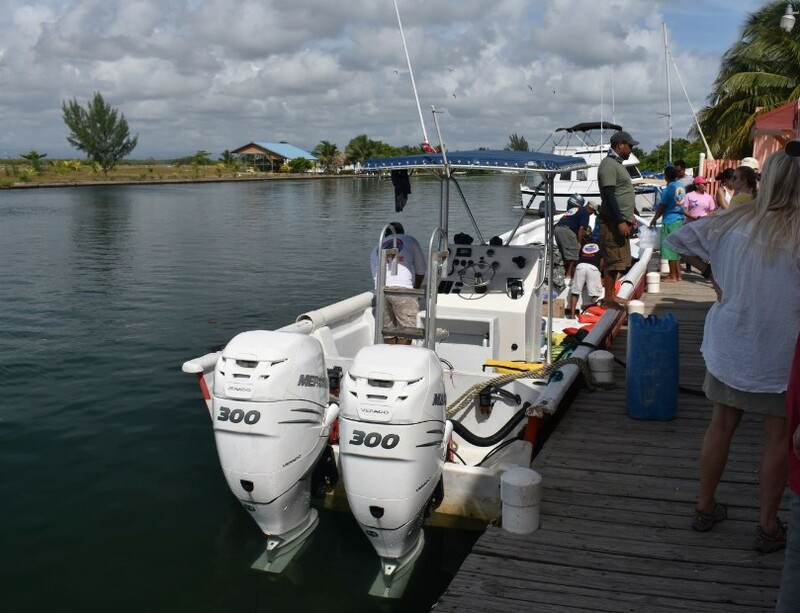 They have been great friends ever since and by combining their wide range of diverse but compatible skill sets they have come together to give you the Ridge to Reef Expedition to Belize. All the pictures were taken by the team at the sites you will visit; what you see is what you get! The dates advertised are at the very end of the rainy season/beginning of the dry season. 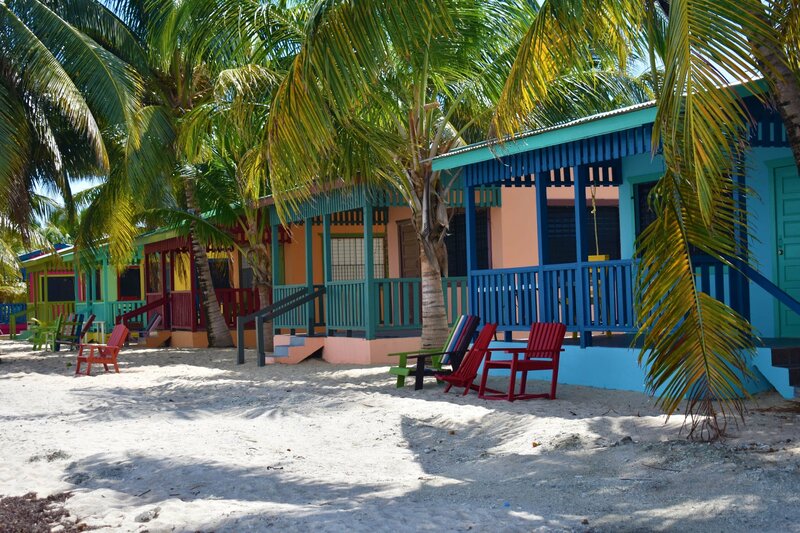 There will be very few tourists in Belize at this time; perfect! The weather can be hot, humid, wet, dry, a little chilly or sweating like never before – all in one day! 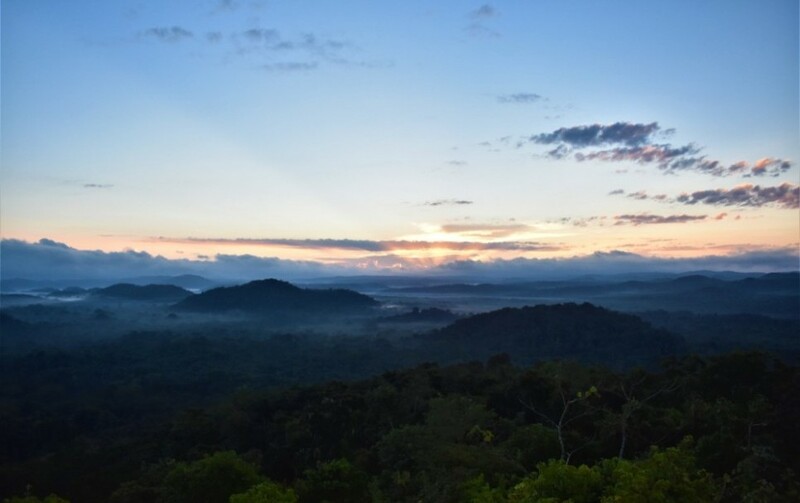 We will supply a kit list but you will need little more than shorts and T-Shirts everywhere you go, apart from the rainforest itself where you will need light trousers, long sleeved shirts, hat and walking boots. There are bugs, snakes, lions, jaguars and spiky trees in this Rainforest. It is REAL Jungle, and it is amazing! You will be safe, we will look after you! 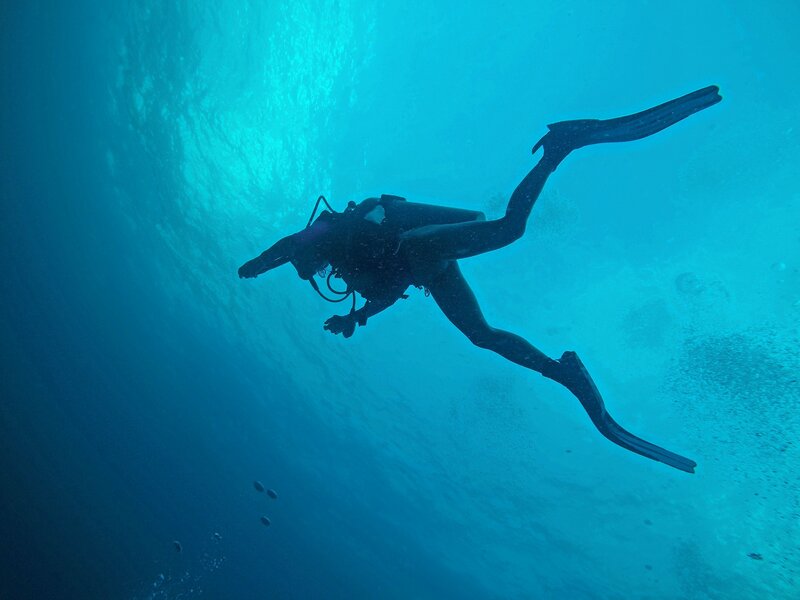 You don’t need to be Superman or Super Woman, but you will need to be fit to dive (and that might involve a simple medical with your own GP). As a Company we can offer delivery of the following using an Outdoor Experiential Learning approach. In-service/CPD training for teachers/support staff. Leadership training for teachers/support staff/pupils. PSD – integration into S1 “new starts”, preparation for “moving on” upper secondary. Customised Curriculum for Excellence residentials for staff and/or pupils. Programmes for disaffected pupils using an outdoor learning approach. Curriculum for Excellence – assistance with innovative approaches using outdoor learning. We also offer Comenius/Grundtvig (Erasmus +) courses for educationalists/teachers on Reflective Leadership. These are run in Andalucia, Spain. We offer Comenius/Grundtvig (Erasmus +) courses taking learning outdoors. These courses are run in Italy and Scotland. Duke of Edinburgh’s Award – (AAP) Approved Activity Provider for expedition training, supervision and assessment, Gold Residentials, Open Golds, Accredited Assessors. See D of E page for more details. We offer tailor made ‘experiences’ throughout the world for young people……see an example of one below! Excellence and enhancing personal development and life skills. Students will plan, organise, manage, budget and initiate the experience with on-going guidance and support from AdventuraScotland. Within stage 2, the “Experience” there will be a further 3 phases to be agreed, planned and organised by the students themselves – the Tropical Forest Phase, Volunteering Phase and the Reflection Phase. As Approved Activity Providers and Accredited Assessors for the Duke of Edinburgh’s Award Scheme, AdventuraScotland will also facilitate achievement of parts of the DofE Gold Award and John Muir Award during the venture. FOR INFORMATION and any ANSWERS TO QUESTIONS – PLEASE CONTACT US! Aberdeen University – MSC in Leadership courses (outdoors experiential component). Learning Teaching Scotland – Outdoor Learning Festival Workshops. Excellence in Education through Business Links – Collaborative work with Scottish Natural Heritage planning/preparation for Curriculum for Excellence in the Outdoors. In-service Curriculum for Excellence/Taking Learning Outdoors Orkney Islands Council. Hordaland Scholarship – researching Outdoor Experiential Education, Norway. 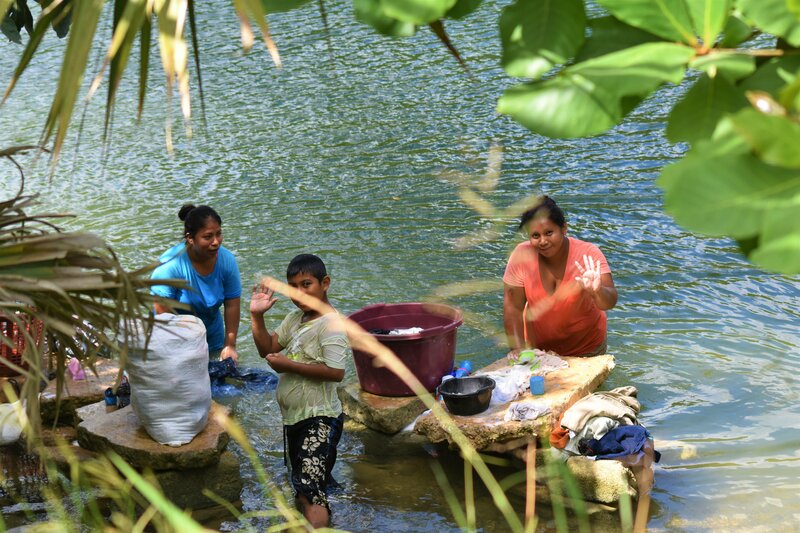 World Challenge – leading groups of young people in Third World. Wilderness Camp Schools – San Francisco, co-leading groups of disaffected young people.